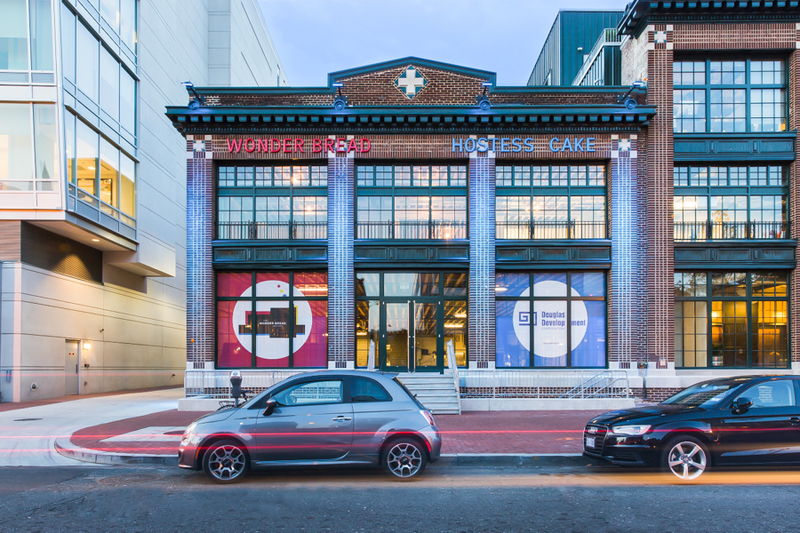 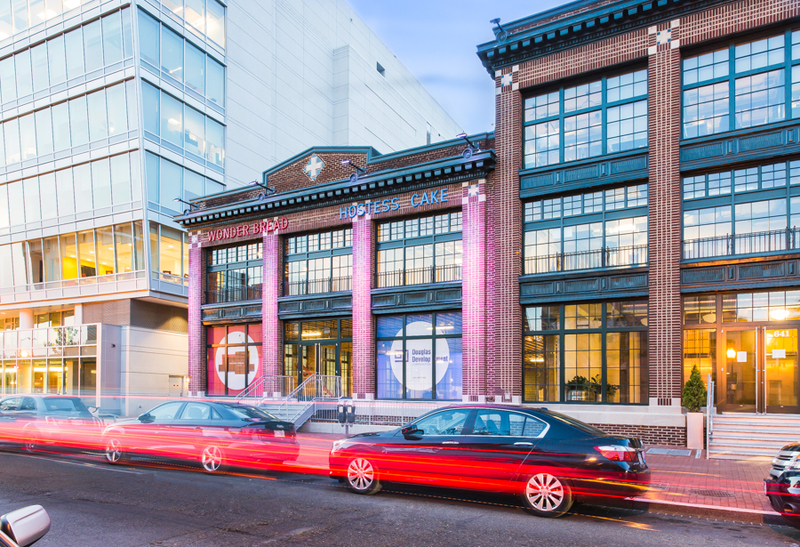 After sitting in vacant disrepair for nearly twenty years, The Wonder Bread Factory at 641 S Street NW in DC’s burgeoning Shaw neighborhood took on new life after an extensive renovation effort. 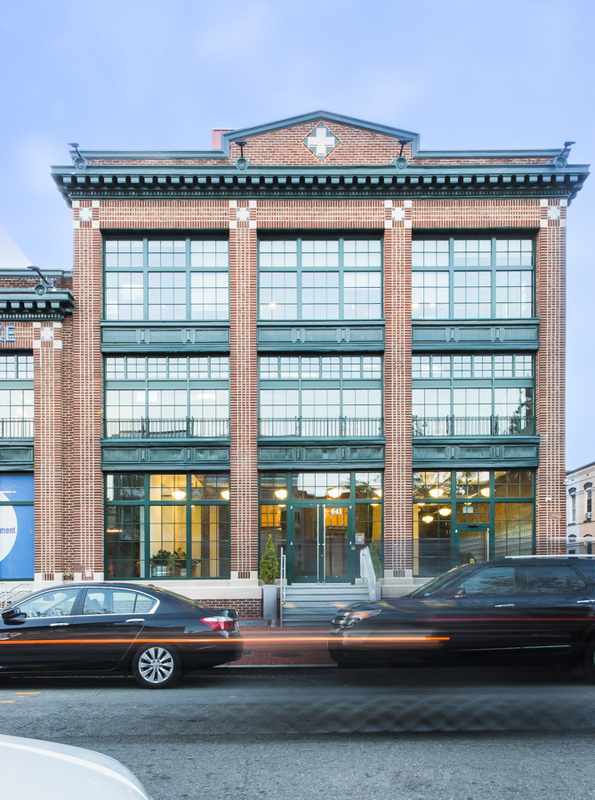 The building’s notable south façade was rehabilitated to retain its original industrial character. 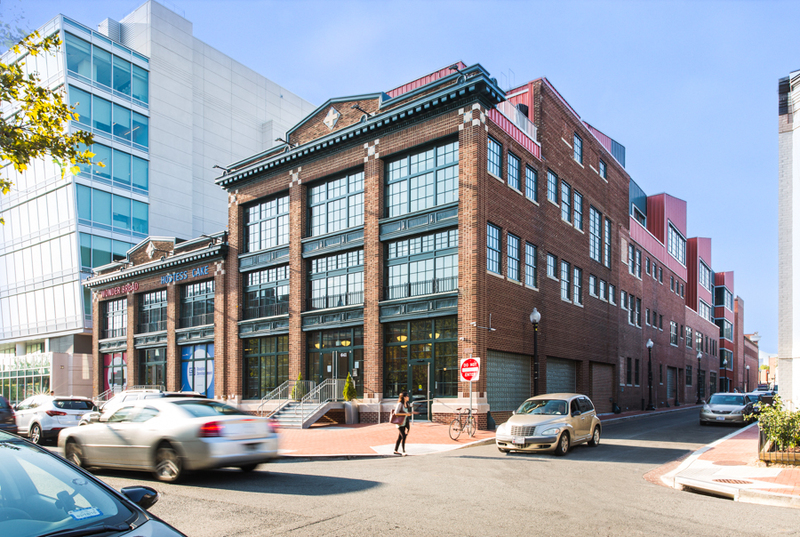 Major structural repairs, replacement of all building systems and a new three-story addition atop the existing building have adapted the former factory for new commercial uses. 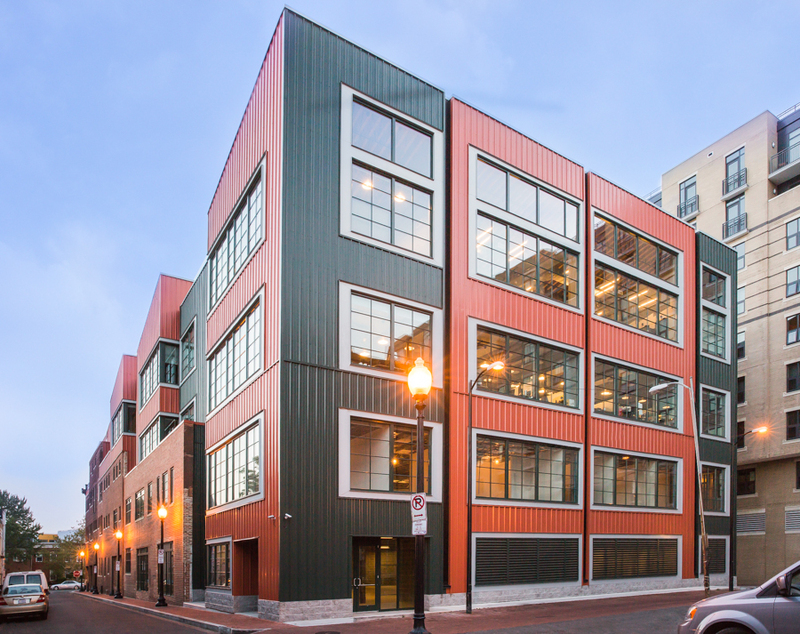 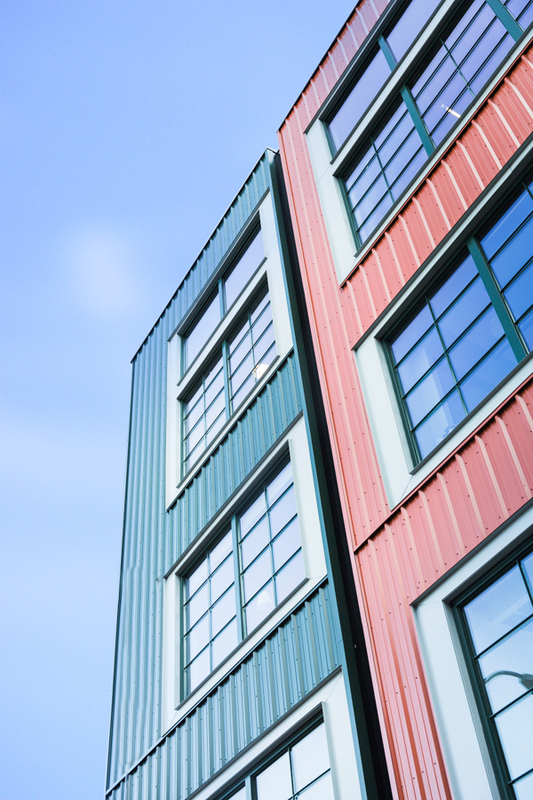 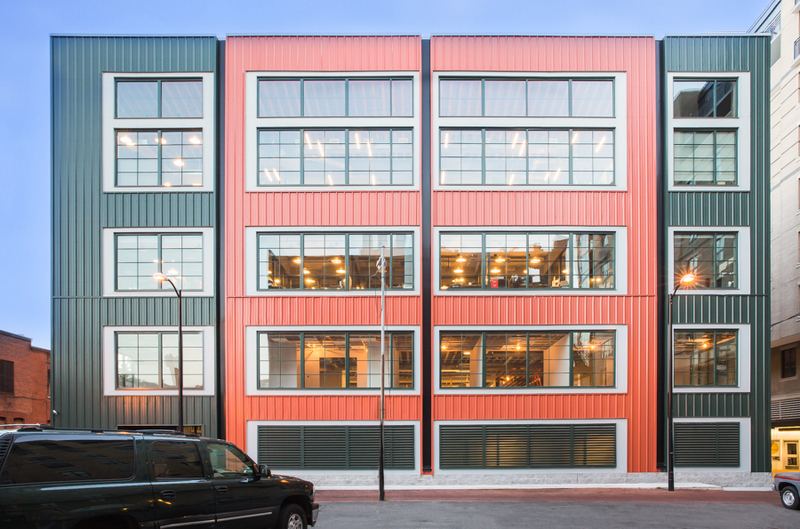 Developed by the Douglas Development Corporation, tenants of this unique property now include WeWork, a creative class office platform that offers workspaces for startups and small businesses.